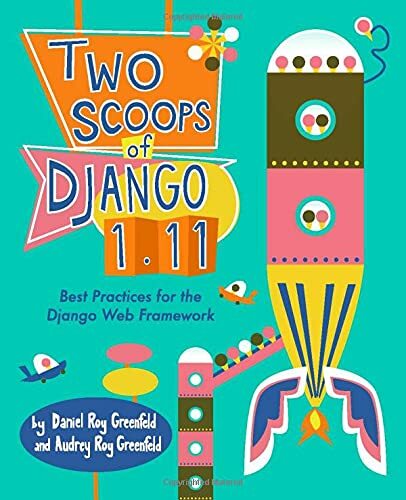 Co-authored with Audrey Roy Greenfeld, the 1.8 edition of Two Scoops of Django is filled to the brim with knowledge to help make Django projects better. We introduce various tips, tricks, patterns, code snippets, and techniques that we've picked up over the years. What we didn't know or weren't certain about, we found the best experts in the world and asked them for the answers. Then we packed the result into a 500+ page book. We'll be adding more material to the 1.8 edition in the near future, hence the term, "Early Release". Everyone who buys the 1.8 ebook from us gets all 1.8 ebook updates. Once we're happy with the ebook, we'll release a print paperback edition, scheduled for mid-to-late May. We'll have a ebook/print bundle. If you buy the Early Release ebook from us, you qualify for the bundle. 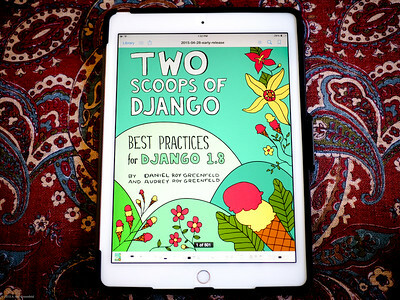 You can purchase the "Early Release" Two Scoops of Django: Best Practices for Django 1.8 PDF ebook at the Two Scoops Press store.